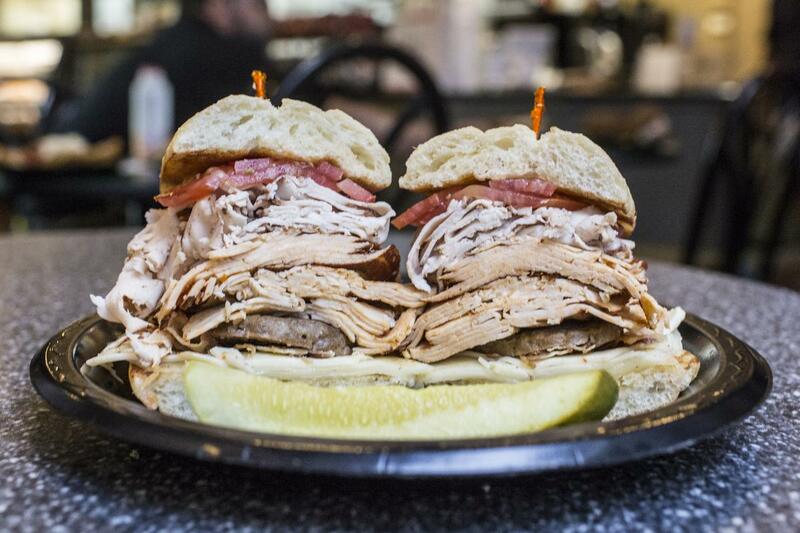 Reuben’s Deli is not just an ordinary sandwich shop; it’s home to the extraordinary sandwich! And not just one specific sandwich, but every sandwich. 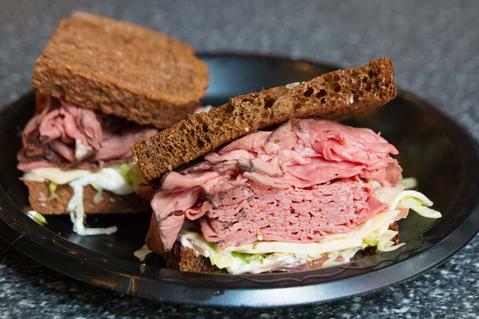 We’ve been voted as a Top 10 Deli in the United States, and Best Deli in Atlanta! Give the gift that keeps on giving, purchase a Reuben’s Deli Gift Card today! Anybody can make a sandwich, but it takes something special to be the best. 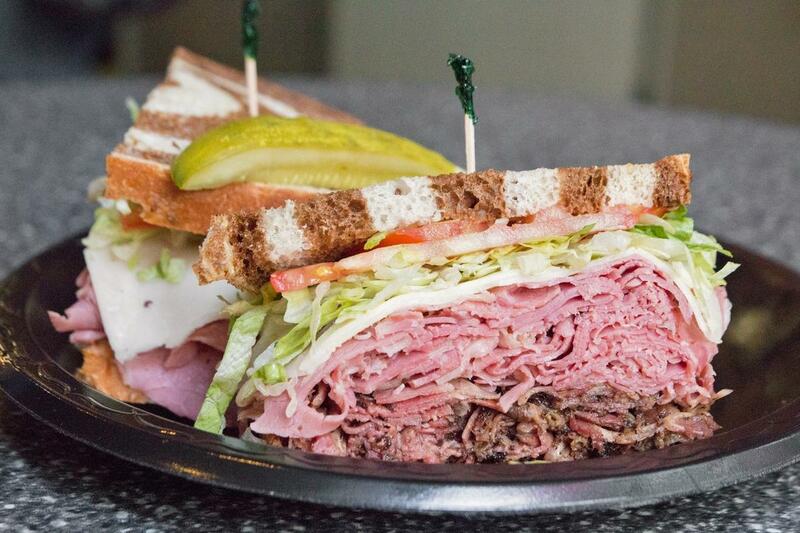 Hot Pastrami, Hot Corned Beef, Salami, Pepperoni, Roast Beef; These are just a few of our sandwich selections. With over 100 menus items, quality never takes a back seat. Gotta love Claudio and the gang at Reuben’s. My favorite is the turkey club sandwich. And OMG, the cookies! About the only thing you need after eating breakfast at Reuben’s is a nap. Big Boy Pancakes. Oh my gosh! The pastrami sandwich was fantastic! I ended up taking half of it home and eating it for dinner! Love this place! Wonderful Greek salad. Great atmosphere. Claudio called me by my name after I’d been there a couple of times. You don’t see that happening too much in a city the size of Atlanta. 5 Stars! Best Reuben sandwich I think I’ve ever had. Reuben’s is the best. The sandwiches are so good, it’s hard to decide which one to order. Claudio and his team make it fun as well. I love Ruben’s Deli and Claudio! 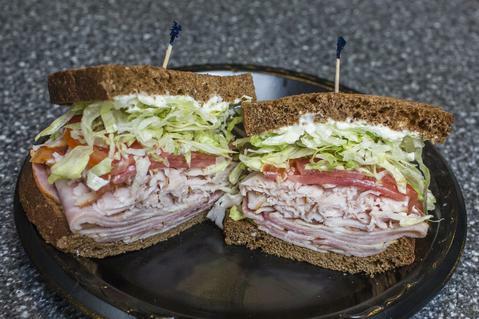 You won’t find a better Deli Sandwich in Atlanta. I’ve eaten lunch at Reuben’s probably a dozen times. Each time seems better than the last. Think I’ll go back tomorrow. This place was AMAZING! I got the Lox egg onion on pumpernickel bagel and it was fresh, crispy, and oh so flavorful. Service was quick and courteous. I had the reuben sandwich and a side of pasta salad at Reuben’s Deli, and both exceeded all my expectations. It’s not me, it’s you. 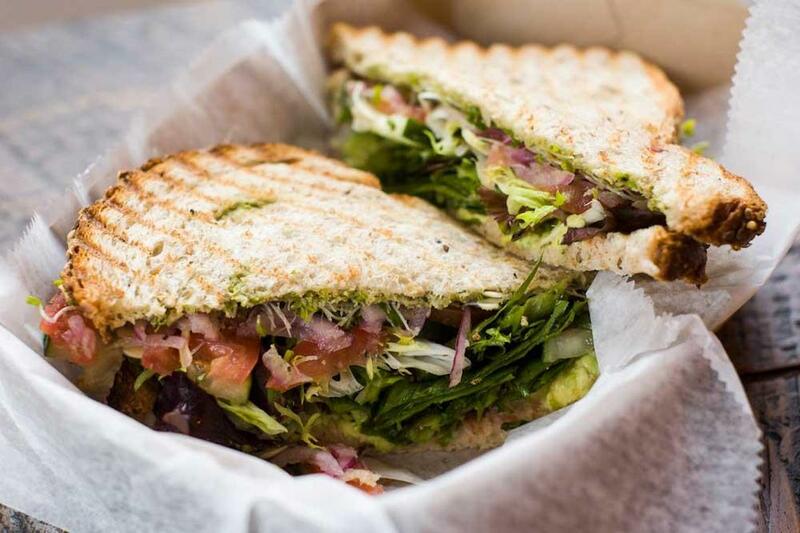 You’ve told us we have the best sandwiches in Atlanta. We are passionate about keeping you thinking that way. Great coffee starts with great coffee beans. We’ll stack our beans up against anyone’s! We think we’ve got the best coffee in Atlanta! You be the judge. Start your day off right with a selection from our breakfast menu and your stomach won’t be growling at mid-morning! The most important meal the day! Hosting an event at your home or office? Reuben’s can make it special. Check out our catering menu, or call us if you want something really special! Who knew turkey’s were so talented? 8 flavors available, with cheese & choice of bread. So delicious you’ll slap your mama. Voted the best Pastrami Sandwich in Atlanta. Comes with cheese and choice of bread. Honey and Smoked available, comes with cheese and choice of bread. A true wise-guy sandwich. Comes with cheese and choice of bread. Traditional Italian Pork, comes with cheese and choice of bread. For those of you that can’t pronounce Capicola. Comes with cheese and choice of bread. 1/2 Basic Sandwich plus salad or deli salad. This meal will fill you up! Almost enough beef on this sandwich to form your own cow. Cajun and Italian available, comes with cheese and choice of bread. So fresh, Mama Hen is still looking for the eggs. Comes with choice of bread. Cheese extra. Pronounced Baloney in the South. Comes with cheese and choice of bread. Freshly made daily. Comes with choice of bread. Cheese extra. To be any fresher, it would still have to be swimming. Comes with choice of bread. Cheese extra. For you English speaking people, Liver Sausage. Comes with cheese and choice of bread. I pledge allegiance to The American Sandwich: Ham, Turkey, American Cheese, and a choice of bread. This sandwich will make you weep. Cajun roast beef, cajun turkey, pepper jack cheese, blue cheese. Tissues extra. This sandwich is stacked! Enough meat to feed a small family (or one hungry & determined individual). Jerk & blackened turkey, pork sausage, bacon, provolone, pepper jack & spicy mayo. Turkey, pepperoni, pepper jack, choice of bread. A sandwich you can’t refuse. Salami, capicola, prosecution, choice of bread. Hickory Turkey Salami, Capicola, cheese, choice of bread and free WiFi so you can call your mama. “Melt” describes what happpens when you put this sandwich in your mouth. Tuna or chicken w/ cheese, choice of bread. A carpetbagger’s delight! Corned beef, pastrami, cheese, choice of bread. Calling The Classic Sandwich “Classic” is like calling a Rolls Royce just a car. Roast beef, corned beef, turkey, slaw, & thousand island dressing. 5 Olympic Rings, 6 Meats (We added one for the Torch). Ham, salami, bologna, capicola, turkey, pepperoni, and cheese, choice of bread. The simplest of sandwiches with the hardest of choices. Choose three cheeses out of 20 varieties, then choose your bread. Counting calories? Choose your rabbit food, and your cheese and your bread. And stop counting calories. You talking’ to me? Corned beef, pastrami, cole slaw, 1000 island, choice of bread. Your jaws almost have to be double jointed to get this sandwich in your mouth. Turkey, Ham, Bacon, & Swiss-American cheese, choice of bread. Made the way your Mama made them…if you’re from Germany. #1 rated Reuben on Yelp. Traditional, turkey, or pastrami, served grilled with kraut. A sandwich that will bring music to your ears (and mouth). Think Ricky Ricardo and Babalu!! Served with spicy mustard & relish. Our friends from Philly say this sandwich reminds them of home. Steak or chicken with mushrooms, onions, and green peppers. This sandwich is clucking fantastic! All natural chicken rubbed with lemon & pepper seasoning. Our 100% vegetarian burger. If you think of a cattle drive while you eat it, you can’t tell the difference. This fish was swimming yesterday. Fresh Talapia with blue cheese & spicy mayo. Bacon, lettuce, tomato and attitude. A taste of New York without the subway ride and the $9 pricetag. 100% beef quarter pounder with deli mustard & kraut. From the Windy City. 100% Beef quarter pound hot dog with mustard, pickle, tomatoes & peppers. Who let the dog’s out? We did. A quarter pound, all beef hotdog with chili, slaw & cheese. We bet you didn’t get to choose three cheeses for your Grilled Cheese sandwich when you were growing up. Choose 3 cheeses, from roughly 20 choices. If you can. Is it pronounced “k-nish” or “Nish”? However you say it, you’ll love our New York styled pastry. Is the garden small or is the salad small? Either way, this salad is delicious, and a fantastic addition to any meal, or just by itself. Add any of these meats (ok, technically they’re not all meats) to your salad, or a combination of: Lemon Pepper Chicken, Turkey & Ham, Chicken Salad or Tuna Salad. From the Greek words χωριάτικη σαλάτα. Nevermind. Just order the salad. You’ll love it. Think Elaine Benes and Yada Yada Yada. Our Roasted Red Pepper is memorable. Chicken Little wouldn’t be (little) if he ate this hearty soup. This soup is a meal. Think bathing suites, think fresh veggies, think summer. Doesn’t make you think fresh homemade soup? Fresh broccoli combined with top grade cheese make this soup an absolute winner. Oh yea, it’s homemade just like all our other soups. This is the soup your mama wishes she could have made. Squash, aromatic spices, and cream. Yowwza! Our home-made chili is just warm enough to make you wonder if you’re going to need something cool to drink soon. Maybe not a full eye-watering event, but you might be verklempt for a moment or two. The Italian answer to gumbo. Eat all of it or we’ll kill ya. Our two egg omelet with cheese & toast. This will get your motor running in the morning. It’s really a word. Pronounced “bay gul”. With a cream cheese schmeer. Our organic burrito, 2 eggs, hot peppers, onions, tomatoes & meat. The epitome of breakfast in the South. The epotime of breakfast in the South. Minus the egg and cheese. LEO on a bagel. Only thing missing is the “V”. And not being dyslexic. You’ll LOVE it. In memory of our dear friend…2 eggs, home fries, meat, toast, and loving memories. Nap time after eating this meal. Two eggs, pancake, sausage. Pillows extra. Available in two sizes: Big Boy and Bigger Boy. Better wear big boy pants if you order these. Fresh potatoes cut up in our kitchen, fried and seasoned. Got to love ’em. A 1960’s/70’s TV show about a magical bagel starring Elizabeth Montgomery. If you’re under 40, look it up. Or, our two egg omelet in a bagel. If you’re over 50, think Hoss Cartwright. If you’re under 50, think Incredible Hulk. Four eggs, cheese & small country attached. Two eggs with meat on croissant. Three eggs with cheese, meat & veggies. Makes Junior Deli Omelet look weak. Two eggs with cheese, meat & veggies. A smaller version of our Deli Omelet. It’s Cyndy, with two y’s. You got a problem with that? Also a two egg omelet with cheese, toast, & veggies. Our two egg omelet with cheese, toast, & choice of meat. Jeff’s favorite. Jeff who? Our wonderful coffee made with Expresso and Steamed Milk. Our wonderful coffee, expresso and steamed milk topped with foamed milk. Our Standard Double, a double shot of Expresso. Extraordinary! A stronger and yet delicious coffee for the coffee connoisseur. We bake ’em fresh everyday! Look up the word “big” and this cookie’s picture is there. We mean they are big. We don’t discriminate. These treats are equally awesome! Try one of each! New York City Cheese Cake? No. Southern Cheese Cake. It’s better. 100% Serious All the Time! You Won't See One of These at Subway! Our bread is baked fresh daily, and is never frozen. The other guy’s bread (rhymes with Tubweigh) is delivered frozen. Bless their hearts. Our meats are the best! We serve Boar’s Head and Thumann’s. You can taste the difference when it’s sliced right before you eat it! When you’re the best at something, it’s O.K. to brag a little. We never say “Drop the attitude”. We say “Bring It On, Baby”! 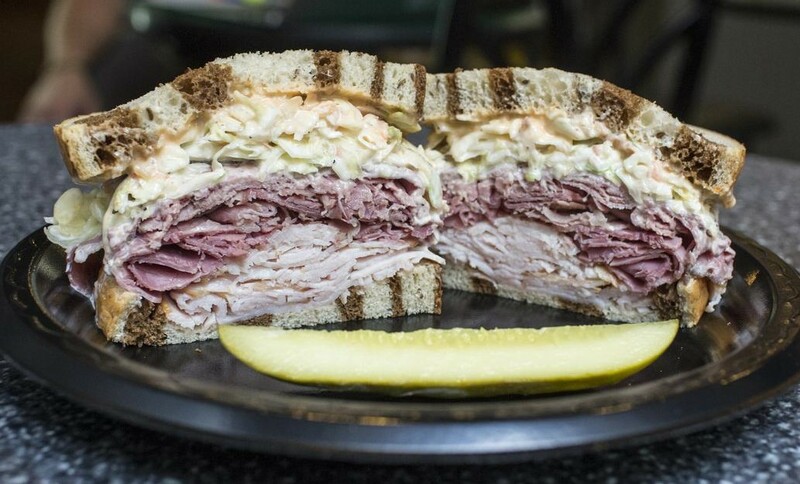 Reuben’s Deli is not just an ordinary sandwich shop; it’s home to the extraordinary sandwich! And not just one specific sandwich, but every sandwich.  At Reuben’s, we succeed in making every sandwich a masterpiece using freshly sliced Boar’s Head and Thumann’s meats. Fresh baked bread. 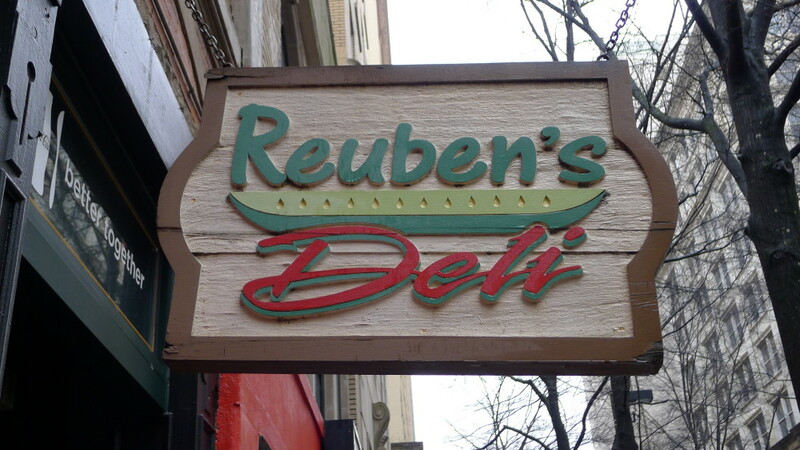 Reuben’s has served up their famous made-to-order sandwiches, fresh soups and salads since 1996. It has been voted #1 Best Deli in Atlanta AND Top 10 Delis in the USA. Come in today!